Add some extra traction to your board with these Board Thorns from Crab Grab. The Board Thorns come with two separate pads that you can place under your heel and toes for awesome control. Adhesive: SCREW GLUE™ Glued on. Like it was screwed on. 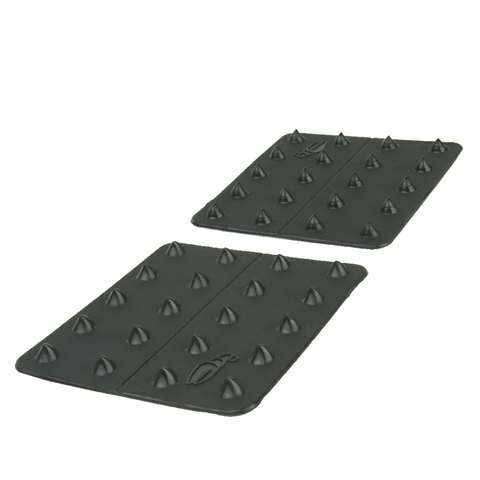 Features: THORN-SPIKES™ Curved, thorn-shaped spikes hook into your boot treads for incredible grip. Material: CRUBBER™ Our lightweight secret blend of materials flex naturally with your board.